He is…the firstborn over all creation. Well, that’s an interesting topic. Who was firstborn amongst you? I was—the child of honor, loved and adored by all around for 3 years, 7 months, 7 days. Then along came this darling little bundle of joy to test my authority for the rest of my growing years. Just kidding. I loved my little brother, but I was known in the family as “miss bossy britches”. Over the years the rights and privileges of the firstborn have gradually evolved at the whim of the father or the culture. Way back when, Abraham left everything he owned to Isaac, the firstborn of Sarah; although he did give gifts to the sons of his concubines—Ishmael for one, his actual firstborn—while he lived (Genesis 25:5-6). By Deuteronomy 21:17, it is clear that the firstborn son of any wife, loved or not, is the legal heir. I can only imagine what prompted that discussion. The coveted blessing of the firstborn originated with the twisted story of Jacob and Esau, and did not go to the firstborn Esau (Genesis 27). Nor did the blessing of Jacob go to Reuben, son #1, but rather to Joseph, son #11 (Genesis 49:1-27). There’s no telling what confusion existed over birthrights of first, second, or last sons by the time of Paul’s letter. At first glance, the mention of firstborns seems to be a red herring. Rather, it is the question of created beings that is causing all the consternation. The heretics in Colosse claimed Jesus a created being, one of many—born in Bethlehem, grew up in Nazareth, not possibly the Son of God. Jesus did not have His beginning in Bethlehem: “But you, Bethlehem…out of you will come for me one who will be ruler over Israel, whose origins are from of old, from ancient times” (Micah 5:2). 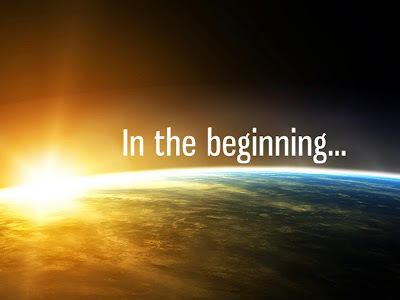 John 1:2 adds to the claim of preexistence: He was with God in the beginning. Not only that, He—the Word, Jesus—was God (John 1:1). And, He had to be there before the creation as He did all the creating (John 1:3): Through him all things were made; without him nothing was made that has been made. And so we celebrate Jesus who was first, from of old, before all creation, in the beginning, the infinite and eternal Son. Amen and amen!